Data recovery is different on every computer. When you need to get files back, you will need to use proven data recovery software or call in professional hard disk data recovery specialists. Mac computers and other brands and models of computers all have different components where data loss can be retrieved. Since not all systems are the same, you will need a professional that can work with your Mac computer. HPS and HFS+ are the Apple Macintosh systems for referencing stored data and hard drives. HFS and HFS+ data recovery methods are uniquely adept for Apple and are not to be confused with NTFS and “fat file” systems, used by Microsoft. If you want to retrieve your data from these systems you will need to get a hard disk data recovery expert that will be able to work with it. Macs are susceptible to data loss! But with data recovery, all bets are on. Data recovery experts at Data Recover SA use the latest technology in the field in order to get your data back and once your data is restored, the next step to prevent future data loss is up to you. However to prevent data loss in the future, you will need to invest in some sort of a data disaster recovery plan. This can be anything from CD data discs to an offsite backup service that will allow you to update all of your files on your schedule. Most personal computers can benefit from external hard drives and CDs for data backup. This is because the data on your personal computer may not change that often, and you can set up a weekly schedule to back-up your computer. When encountering data recovery problems don’t try and fix the problem alone. A hard drive is complicated and it repair requires special tools, a clean room environment, and expert technological know-how. If you attempt to take on this task by yourself, not only may you be unable to retrieve the data, but you may also incur further damage on the drive. But that’s okay, because data recovery assistance and service is only a call away. 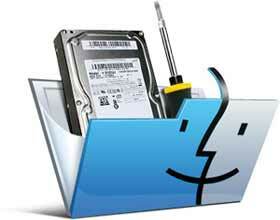 Skilled technicians at Data Recovery SA can evaluate the lost data and instruct you on how to solve the problem. However, if you are an expert yourself on the use of Mac data recovery software, you should know that the software uses extensive algorithms to search the deleted and corrupted files, catalog file corruption and catalog files node corruptions. The recovered data usually get displayed in a tree structure through which you can easily select the appropriate file and then save to a safe volume. It is important to protect your data from anything that could destroy it forever, but if loss happens, there are ways to recover data on your Mac computer. Leading data recovery experts Data Recovery SA provides South Africa with affordable data recovery option for all devices. The company has recently been appointed as a Veritas Select Partner and you can always bank on their expertise and experience to get your files recovered.